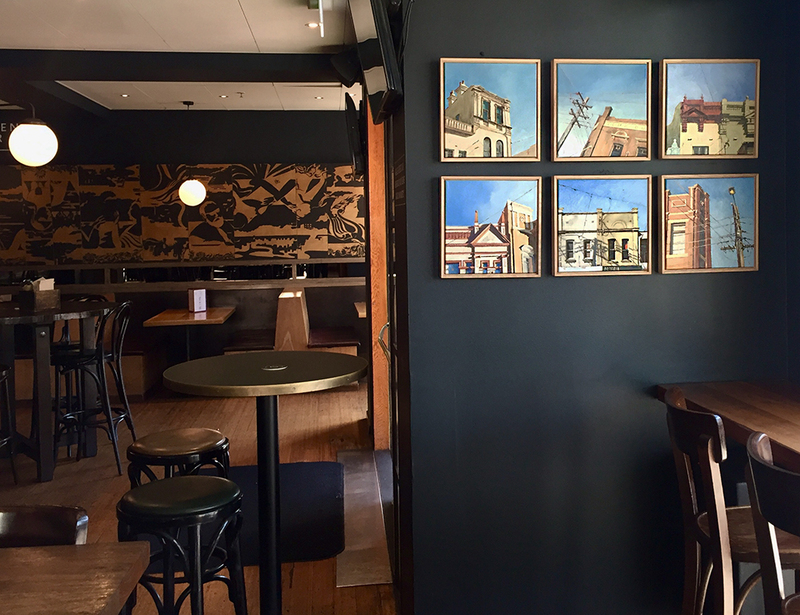 I’m so excited that this collection of my facade paintings are now hung at the Sackville Hotel in Rozelle! on the Balmain Peninsula, some obvious, some not so (I love to keep people guessing). Thank you Sackville for the purchase and hanging them so beautifully in their new home!